Just imagine waking up every morning in your own private oasis. 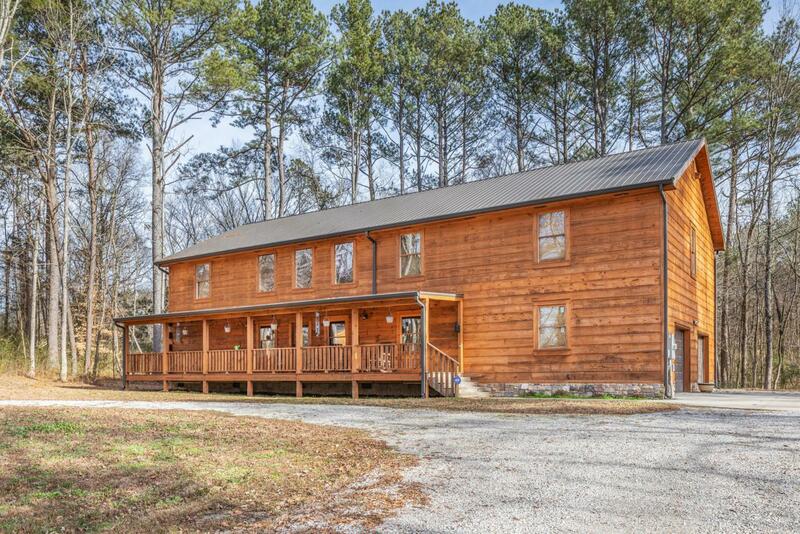 This stunning custom built cabin is situated on just over 5 flat acres of land. Upon entry you will instantly notice the 20 ft ceiling with large windows offering ample natural light. This cozy home boasts all the space you could need with 4 bedrooms (master and guest room on the main level), large living room, additional den upstairs, an office and a massive bonus room. The open concept and front and back porches that extend almost the length of the house are perfect for entertaining your family and friends! Don't let this opportunity pass you by. This truly is the house you have been waiting for.